Lets take a look at the best safari alternatives for iphones, if you’re tired of using the most populous and dedicated browsing app for iphone which is known as safari, you can as well try other browsers which also provide good quality browsing like safari, you can feel free to check out our best web browsers for iphones in 2019. When it comes to the large availability of apps, we know android and ios holds the record for the most number of apps and games and you can get almost every apps and games you want, free or paid is available. But it’s the alternative browser’s for iphones I’ll be listing out, i.e third party app, and if you don’t like using the default browser known as safari, you can try the ones listed below. Numbers are just numbers, and any apps which seem to have the first or second spot doesn’t mean they are better than the ones listed below, they all offer the best experience just has safari does. Opera mini is quite different from opera browsers, but i can tell you how popular this browser was back then on java phones then before its fast development on android phones, this browser is one the best browsers you can use on your iphone too and i can tell you it comes with a lot of speed, get the maximum speed which you need from this browser because its bandwidth package is totally different, it compresses web pages then making it very fast for users to navigate through. If you want to minimize how you consume data, then you should definitely go for operamini, its one of the best safari alternatives out there, its free and you can download from app store or click on the above link for direct access to the app store. Google Chrome is another safari alternative and of course its one of the best browser on android os, with a large number of downloads globally, you can use this browser on os like window’s, mac, and other available platforms out there, google chrome gives you premium features and it makes your internet experience go smoothly, you can easily navigate through your tabs, bookmarks and the download is great too. Chrome is an advanced browser which you can use and get the same exact experience you get on safari, you can also enable the data saving option which works well, get it downloaded on your device and surf internet in a different dimension. You might have heard about puffin browser, yes its a very popular browser on android and its a very fast browser which gives the wickedest speed, one cool fact about this browser is that it supports adobe flash and this makes the browsing experience look more efficient, surfing with puffin browser, you can also use the track pad which looks just like mouse, the desktop mode is as realistic as the normal desktop mode we do get when browsing on pc. 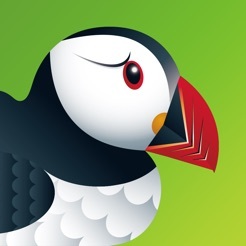 Puffin browser has its own built in video player which makes it easy for you to watch videos on it, this browser has a lot of interesting features and its best enjoyed on a fast internet. 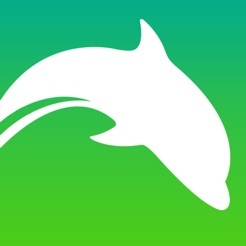 Dolphin browser is good web browser and also an alternative for safari, it has good as the other browser listed above and using this browser you will love everything about it, and its ability to toggle between apps easily, dolphin browser is very unique and its also very fast when surfing the net. Dolphin mobile browser also allows it users to change the browser theme, with the provided themes from the theme database, you can use any theme that suits you and also makes your browsing experience better. 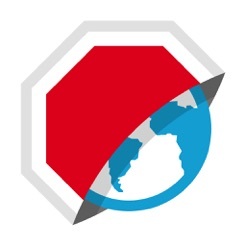 Adblock browser is a good alternative for safari, i enjoyed using this browser honestly, it might not be as popular as the other ones I’ve listed but it does something most of those browsers can’t do, it blocks ads automatically, and you don’t have to worry about annoying ads any more. It also helps save data and it has a very good interface and its very recommended as an alternative to safari. Ghostery is one of the browsers out there and it sole focus is on keeping peoples privacy safe, using this browser you don’t have to worry about ads and trackers, you can surf any site and having it in back of your mind that your privacy is not leaked. Ghostery is works superbly and protects privacy, no trackers can easily access your activities and even if one tries to, you will be notified and can easily deny access to it. Yandex browser is a russian browser and also one of the popular browsers on android, not that popular on ios though, but its also a very good browser and a perfect safari alternative, this browser lets you surf the net with ease and also you can use add-ons on it. Enjoy decent browsing with yandex browser, it loads pages fast and also it has good view when switching mode to desktop. Firefox is one of the oldest browser out there and it one of the most used across android and windows os, no much difference with it and yandex because they both allow users to install add-ons in it, you can surf any site with firefox and you can also do some private settings in it to make the browsing experience more efficient. You can use it as an alternative for safari, the browsing experience is good too. These are the best web browsers for iphones and also an alternative to the ios default browser known as safari, all these browsers are good and you’re good to install any of them, they aren’t only the browsers you can get on iphones though, but the are the best and are well recommended to use.